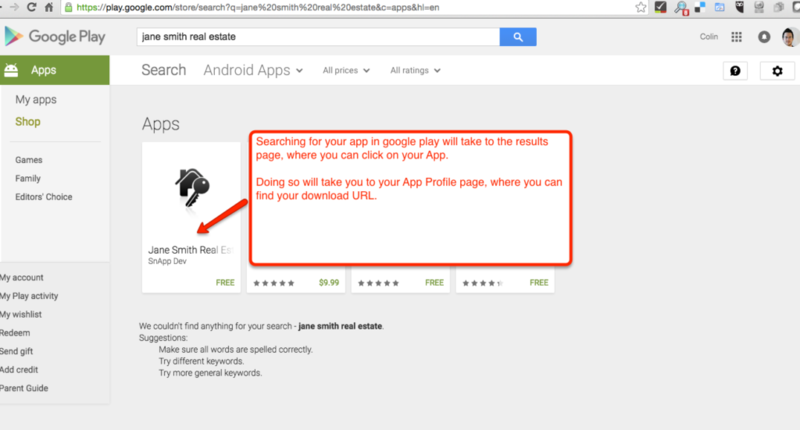 Go to Google Play and search for your app by name. 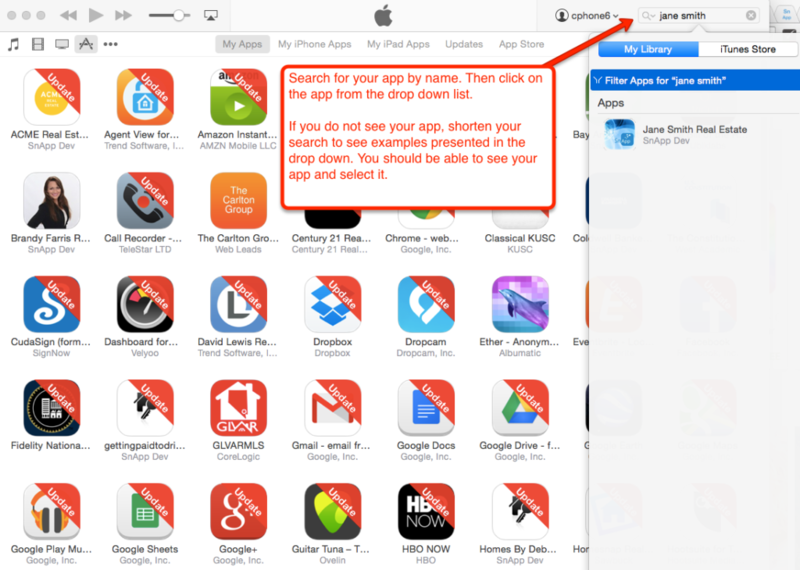 Once you find your app, click on it to be taken to the App Profile. 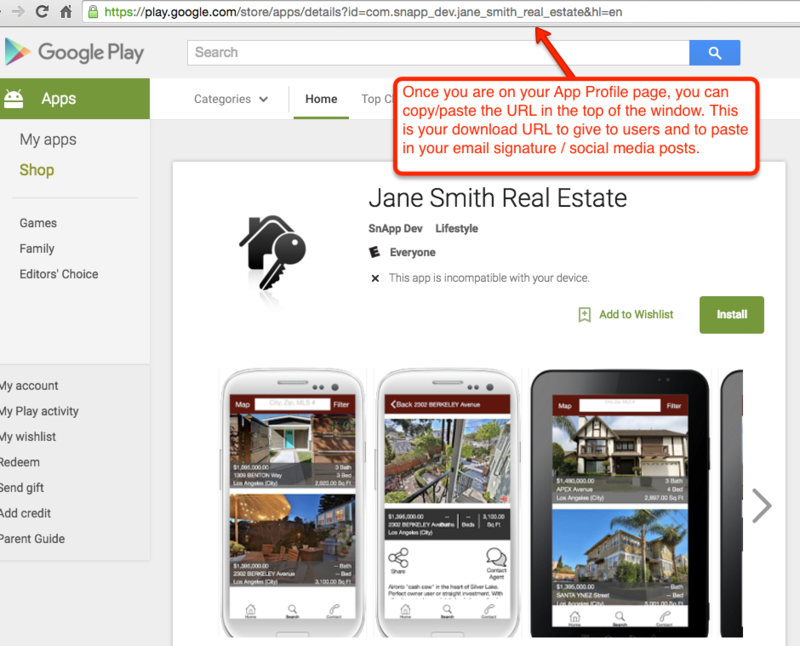 This is where you will see your App download URL.